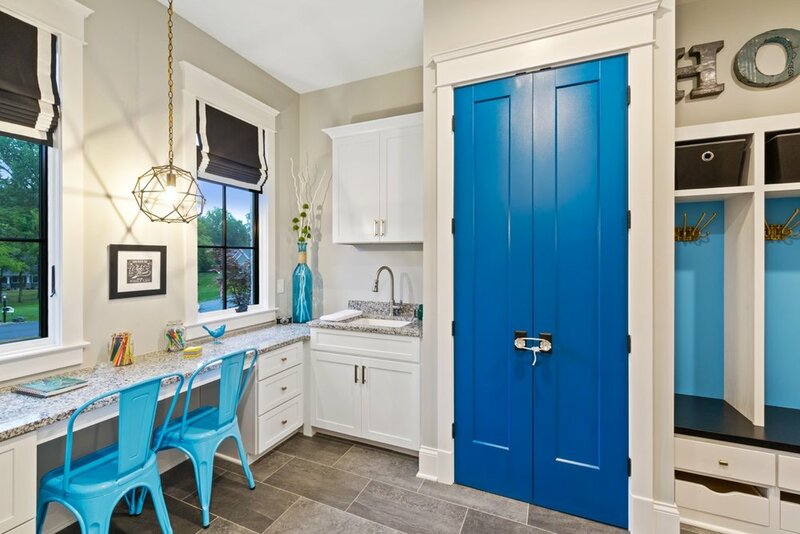 This transitional ranch sets an urban upscale mood the minute you come through the door. 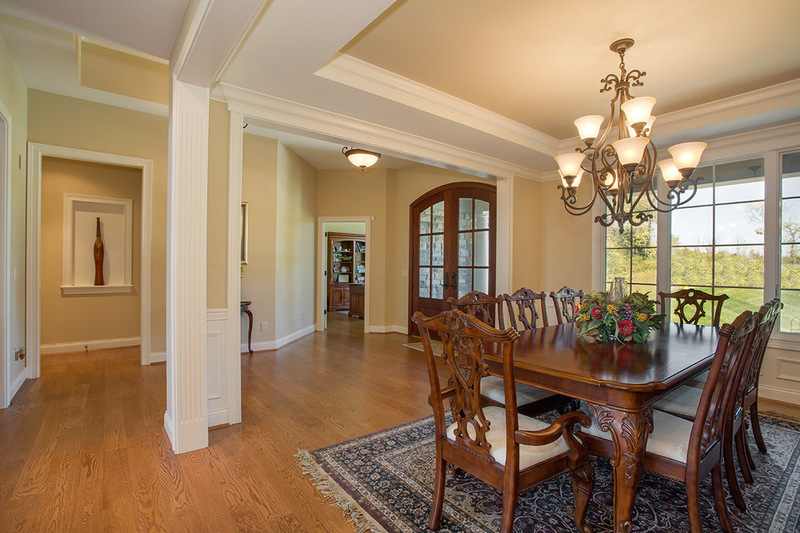 Distinctive ceiling details highlight the great room and dining room. 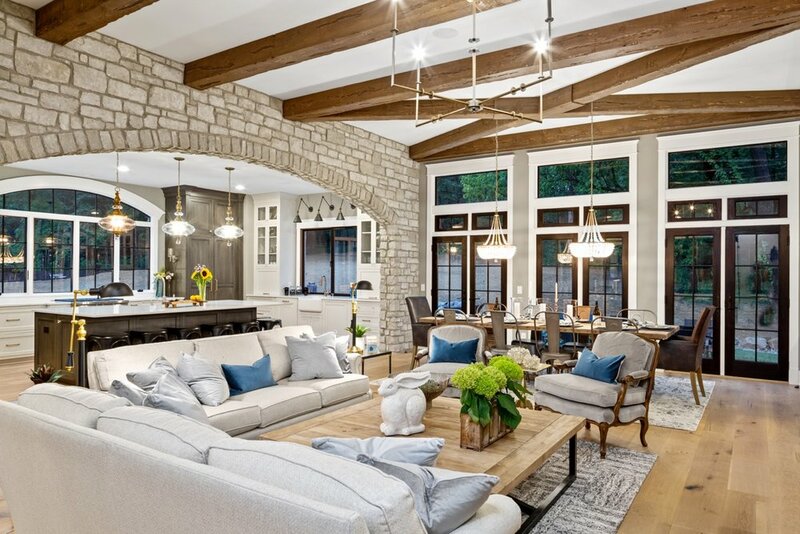 The home features clean lines with a wood beamed cathedral ceiling in the great room and the arched windows that grace both ends of the home bring natural sunlight and life to the room. The interior polished finishes include floating cabinetry, grey tones throughout the kitchen, and an aeronautical-themed lower level bar. Nestled on a beautifully wooded lot, this transitional ranch has 4400 square feet of finished living area including a walk-out lower level. 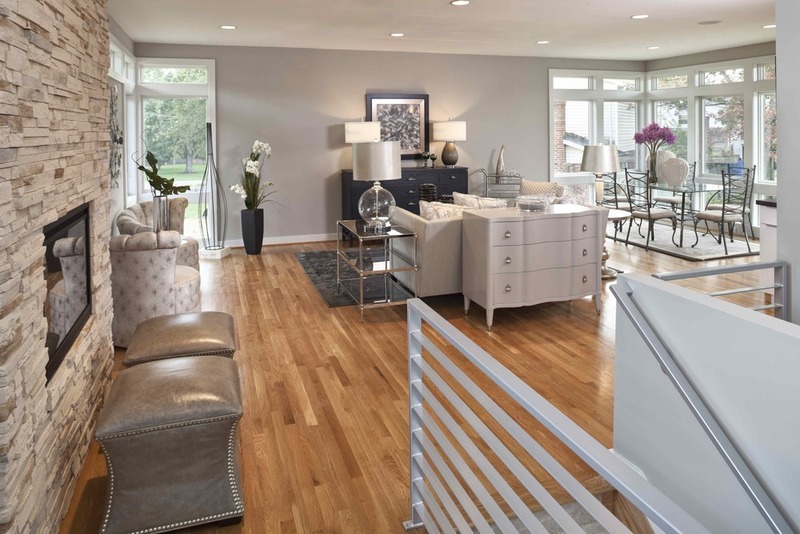 Designed to resonate today's mood, this home leans toward modern and fresh with floating cabinetry with under lighting, high-end granite, natural stone wall accents, and gray tones throughout. The breezeway connecting the two car side entry garage and the two car "man cave" is also the location of the "friends entrance" and leads to the expansive back deck overlooking a protected wooded area. 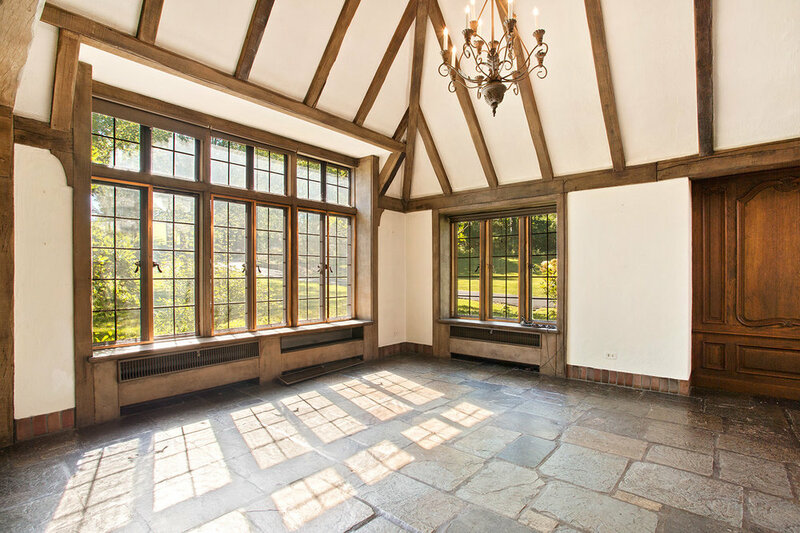 Originally built in 1924, this English Tudor has recently undergone a dramatic interior home renovation. It is listed in the Indian Hill Historical Society as Seven Knolls. 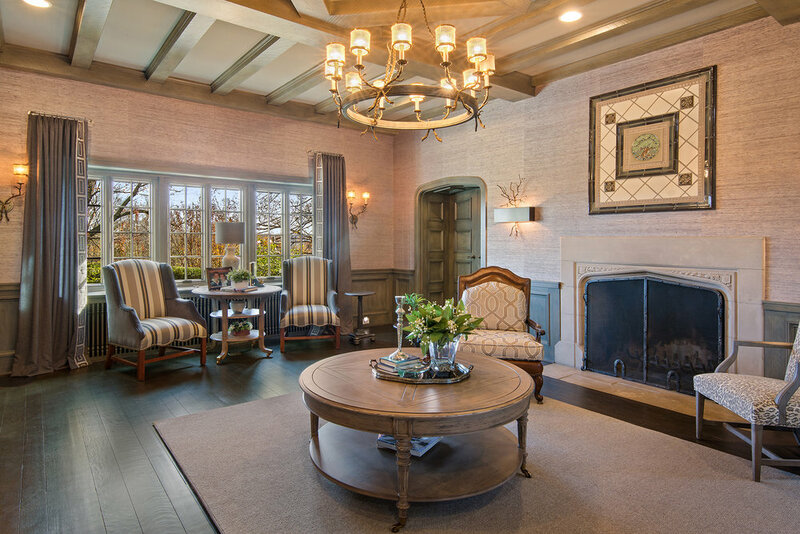 The original exposed wood beams were faux painted in the Library and Master Suite. Numerous walls were removed to convert the home to open concept living. A previous homeowner relayed to us that the beams in the master suite came from an old ship. Scroll through to view the before and after photos. In this family home, the year 1918 meets 2018. 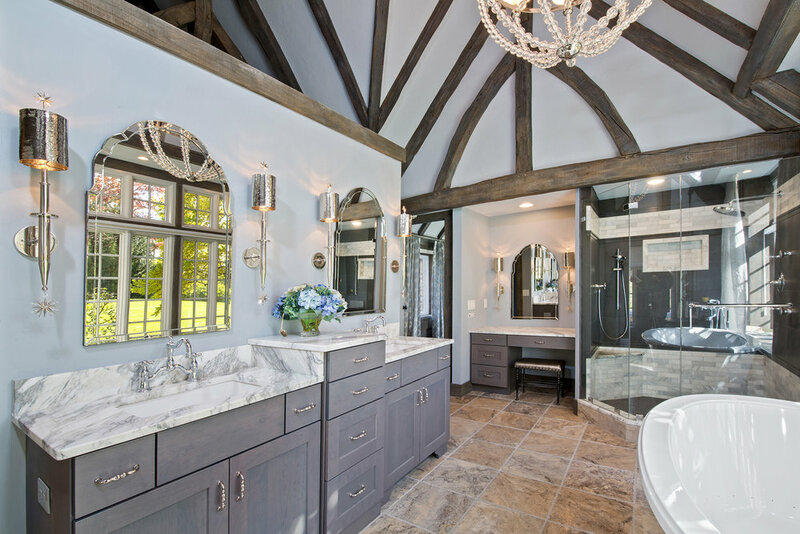 Rustic, natural elements, like wide plank oak floors, unrefined wood beams and Indiana limestone bring depth and texture complementing the mix of quartz and granite countertops. For a glamorous counterpoint, vintage pieces, soft brass lighting and pops of jewel tones summon the romance of yesteryear. 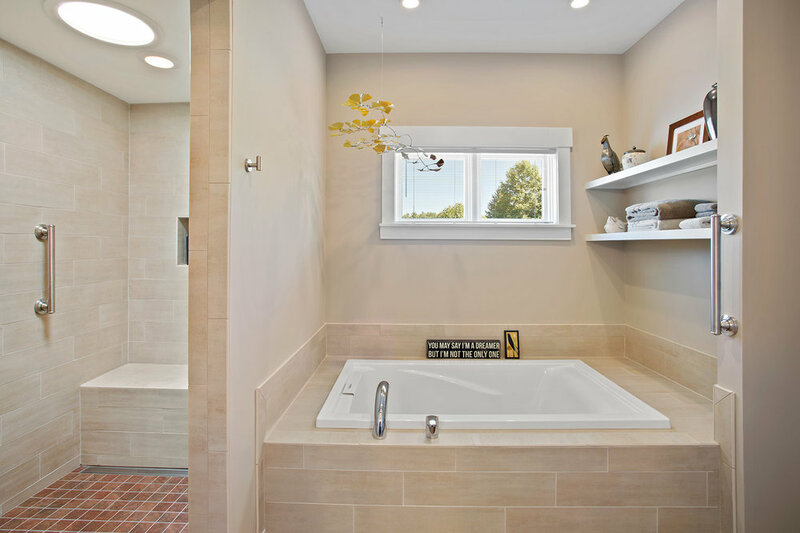 The 4885 square foot home offers plenty of fresh inspiration throughout, from the living wall in the foyer to the cube shaped master soaking tub. A bright orange door and simple geometrics set this mid-century modern home apart from its neighbors. It even has the green features desired in today's homes. Its flat roof, as opposed to a traditional shingled roof, is a bold statement in this Midwestern Cincinnati neighborhood. 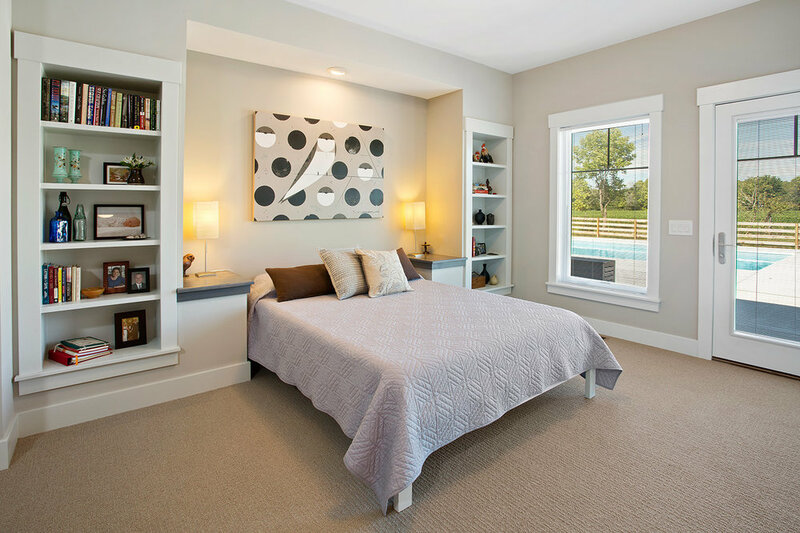 The open concept interior and large floor to ceiling windows allow for plenty of natural sunlight. The home is positioned on the lot with the right solar angle for passive solar techniques to take effect. Geothermal heating provides the mechanical heating and cooling for this home. Featuring nearly 6,000 square feet of fabulous living area, this home is designed with a growing family in mind. 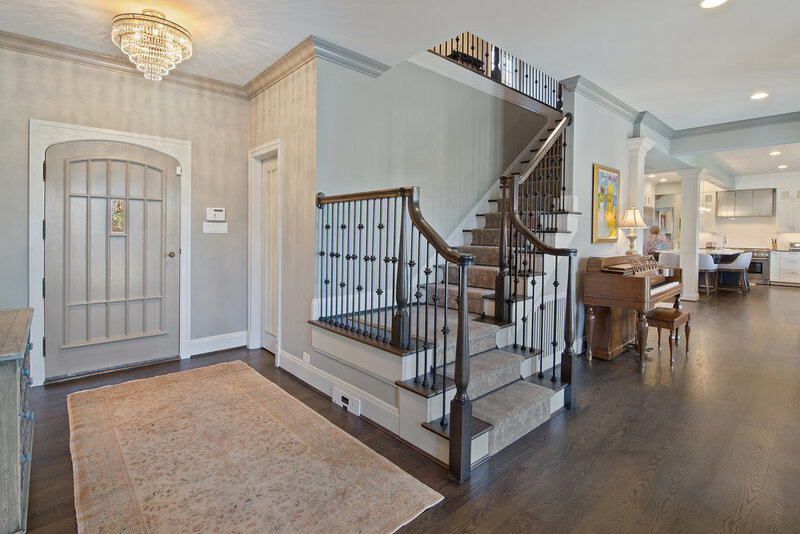 A finished lower level and 5 bedrooms provides ample space for relaxation and entertainment. 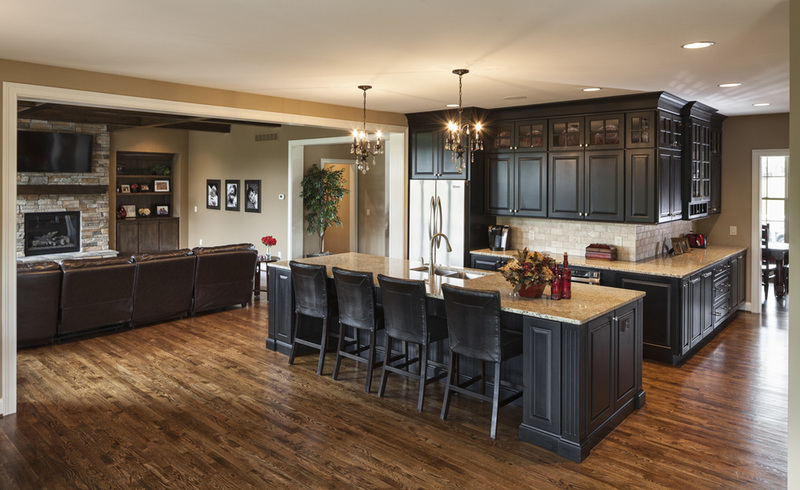 Black painted cabinetry and a stone arch surrounding the cooktop brings notable character to the spacious open concept kitchen with an adjacent hearth room and great room. 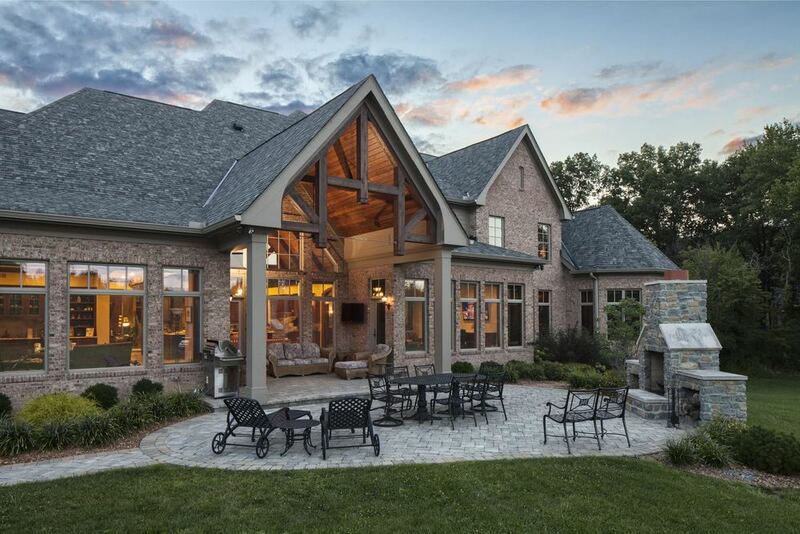 As goregeous as the sunset, this 10,000 square foot home pleases from every angle. 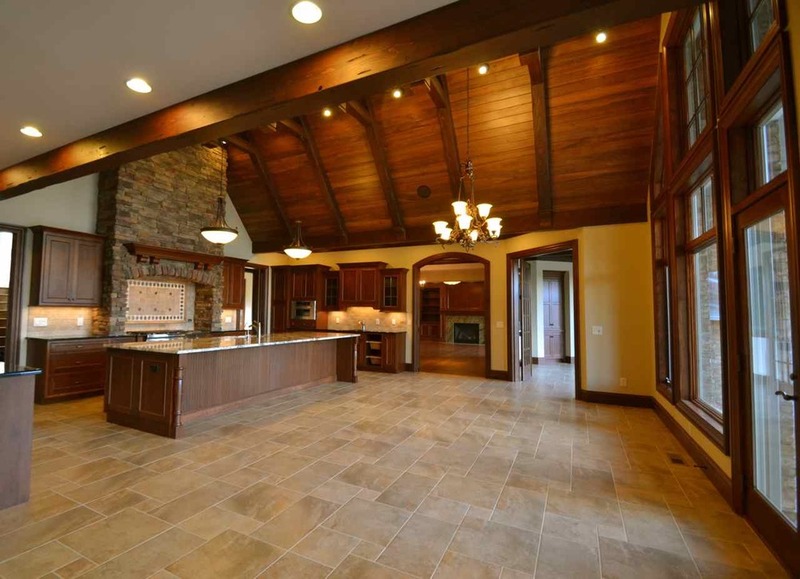 The vaulted wood beamed kitchen ceiling is one of the many highlights of this home. 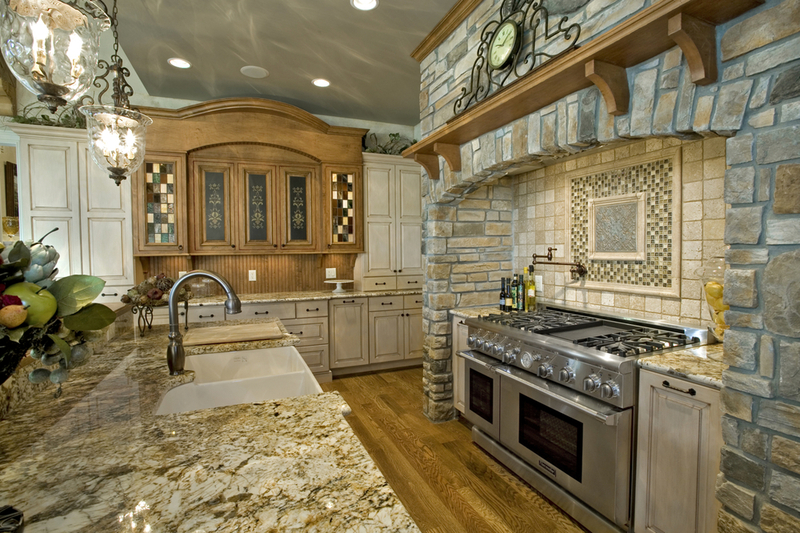 A stone arch surrounding the cooktop adds to the appeal. Adjacent to the kitchen lies a sunroom for lingering and enjoying morning coffee. 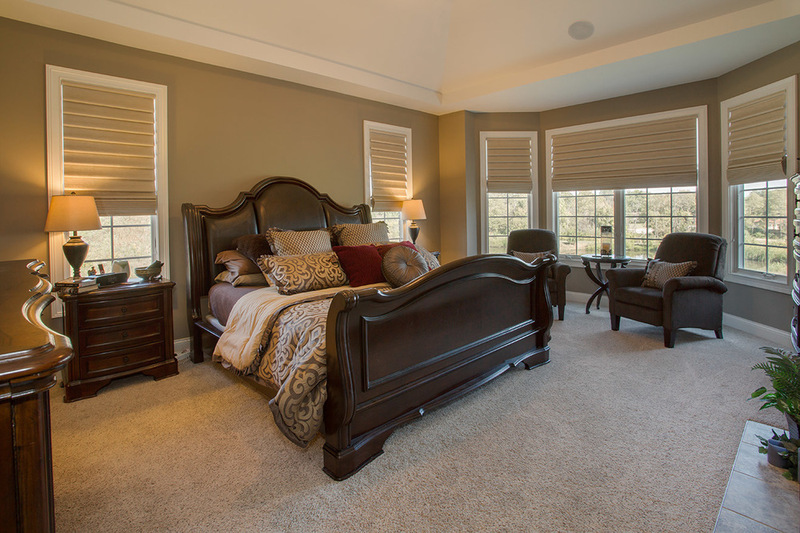 The upstairs office, great room, and family room all include stunning built in cabinetry. Friends and family will love gathering on the expansive back patio with freestanding stone fireplace. 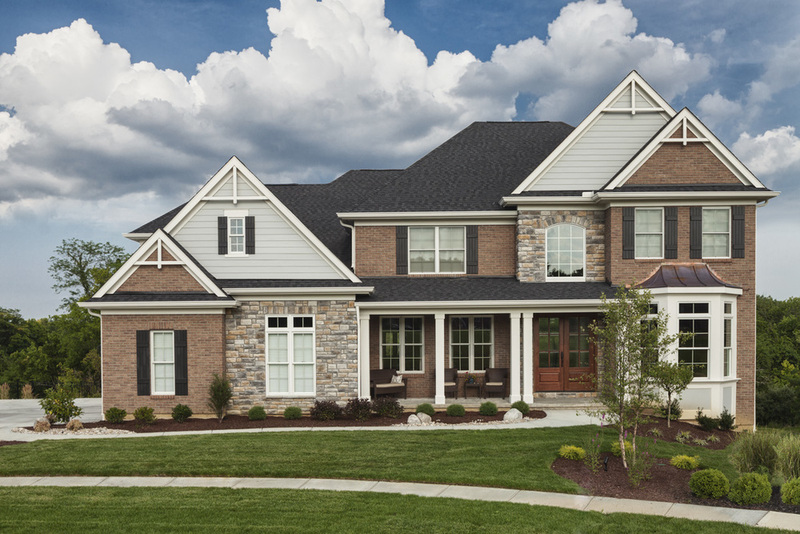 This handsomely traditional home begins with its curb appeal including striking red brick, complementary stone, arched brick window detail, turreted study, and large tapered columns on a stone base. Spacious luxury living is the hallmark of this two story home with a main level master suite, and three bedrooms upstairs, each with a full bathroom. 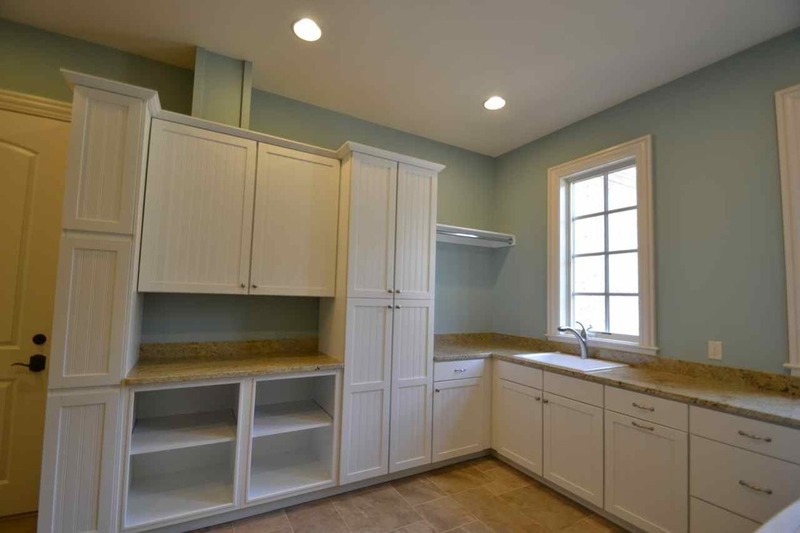 The kitchen is well-appointed with maple cabinetry, a large island, ample pantry storage, and a breakfast nook. Adjacent is a cozy hearth room with knotty alder built-ins and a noteworthy ceiling with cedar wood beams. 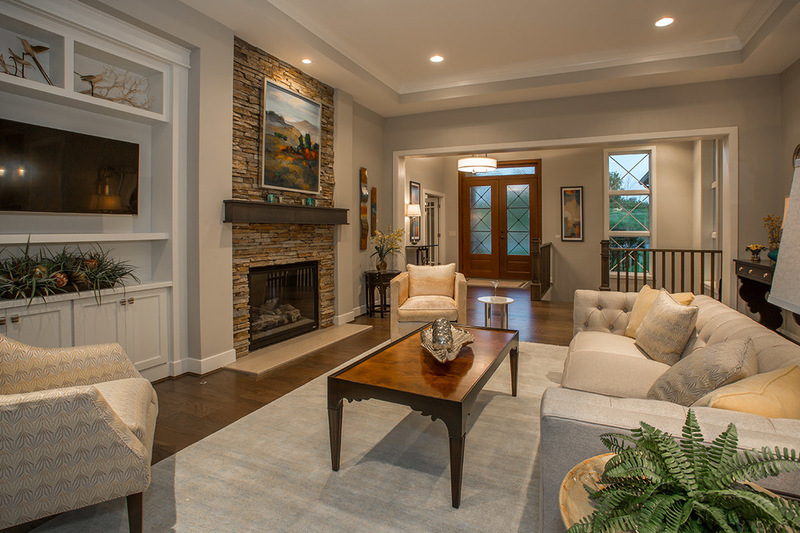 Great room coffered ceiling and built-ins that flank the fireplace add to the elegance of this home. 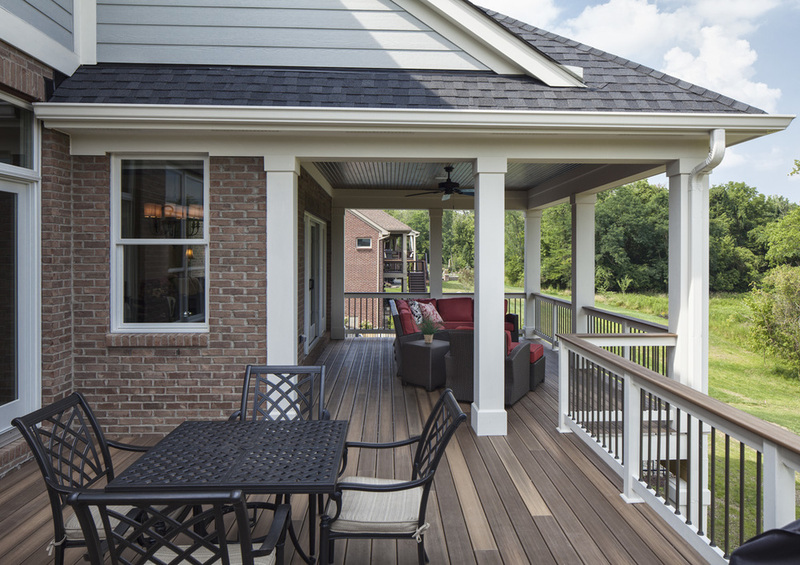 The screened porch, large deck and pool beckon for outdoor enjoyment. Stunning details describe this ranch home beginning with its charming exterior of perfectly complimentary brick and stone, arched mahogany wood entry door, and copper accents. The completely open concept main living area provides a welcoming space for entertaining within the bar, great room, kitchen, and dining areas. 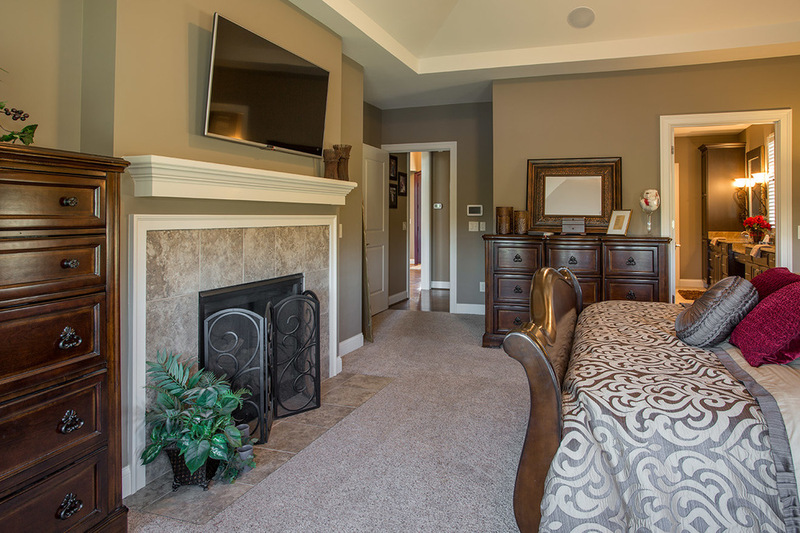 The generously sized master retreat includes a cozy fireplace. The screened in back deck extending from the kitchen is well equipped with a fireplace, flat screen t.v., and inviting outdoor seating for relaxation. Bold colors, horizontal lines and multiple textures accentuate the exterior of this modern home. 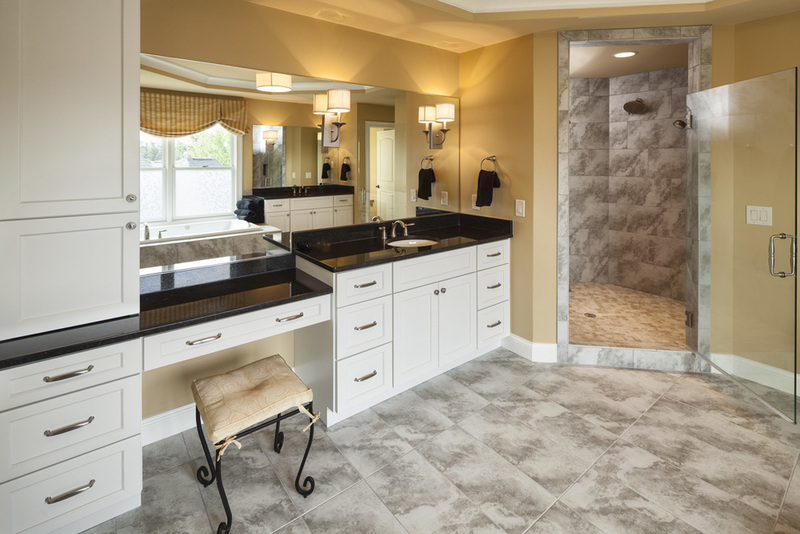 Designed by the homeowners who own Lifespan Design Studio, the couple incorporated "universal design concepts" for ease of functionality, throughout the home. 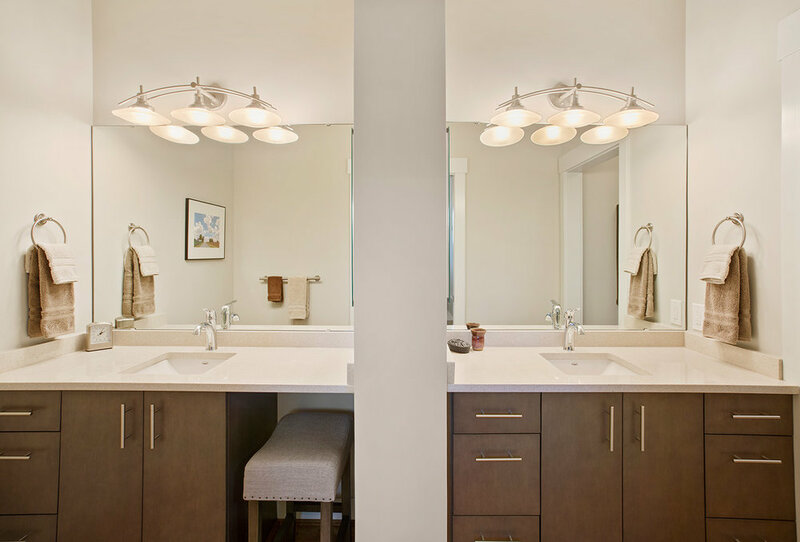 Included in the plan is a zero step environment, 34" doors, an open floor plan without hallways, curb less master shower, and a large dressing area in the master closet with open shelving and accessible drawers. Most of the kitchen storage is below counter height, with large drawers, making it easier to locate and retrieve items. Multiple work surface heights grace the kitchen and an elevated dishwasher is a welcome luxury. Floor to ceiling windows, large transom windows, and sun tubes shed plenty of natural light onto the open living spaces. The home includes the couple's business office with a separate entrance and mini-kitchen area. For entertaining, an outdoor pool and large patio greets family and friends. An arched stone wall surrounding the cooktop, wood island countertops, and graceful wood beams highlight this French country kitchen. 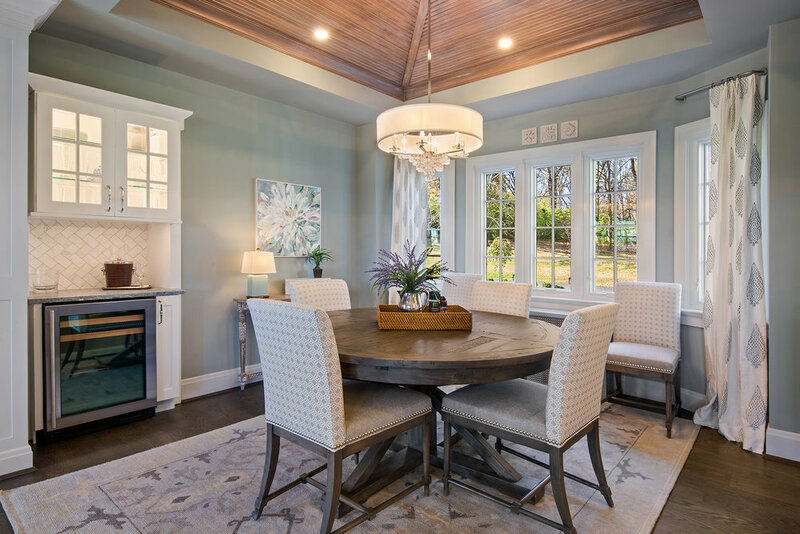 The open concept floor plan includes the casual dining area adjacent to the kitchen and hearth room. 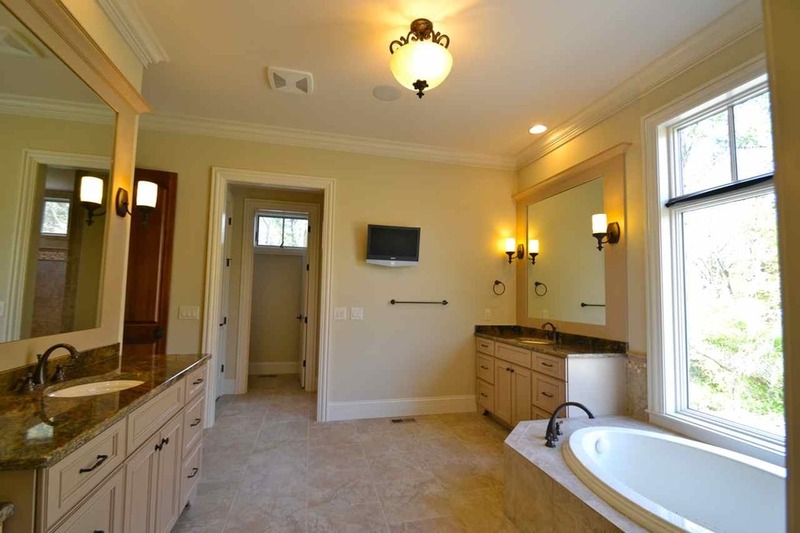 The elegant bathroom includes arched built-ins, a claw foot soaking tub, and decorative glass window. The facade provides visual interest with its multi-pitched roof and copper accents.